Andy is the winner of 11 Championships and 17 Blue Ribbons (so far) in AOBA certified shows. 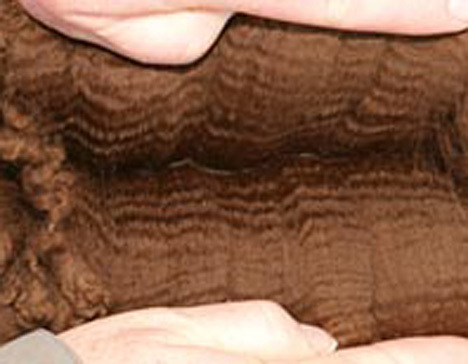 His color is a deep dark brown with black on the ears and muzzle indicating that he is carrying a black color recessive. His frame is ideal- nice and square with large bone. He is the only dark offspring of Sheer Galaxy, MAPACA Junior Herdsire of the Year and Winner of 6 Championships and 4 Get of Sires in AOBA certified shows. He has a shine to his fleece that goes beyond the typical Huacaya brightness and exhibits the luster of the better Suri blankets. Breedings are limited. 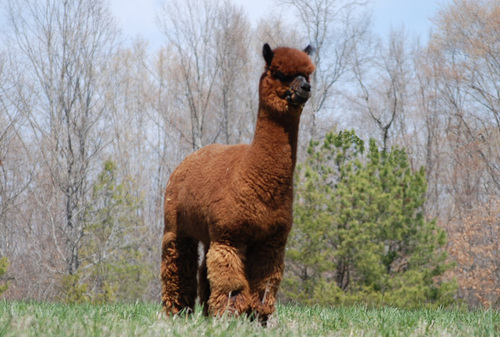 We proudly co- own Andy with A.L.Paca's and Clearview Alpaca Farm.